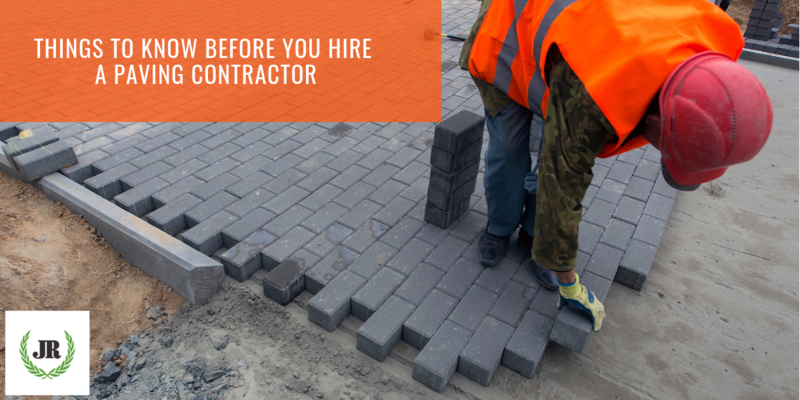 Are you on the run looking for a pavement job for your housing project or building projects for your company? Are you on the stand making enquiries to choose between the pavement options that goes along with your quality plans? Then we must be able to frame your choice on a quick note. Let’s help you with some guidance to keep you updated on the search! What is your idea of pulling out a characteristic pavement job? The ultimate objective of any pavement job is to finally provide a smooth and flawless surface regardless of the varieties and attractions it exhibits in the texture and designs. The distinctive feature of all building jobs have got to do with its stable outlook and durability. 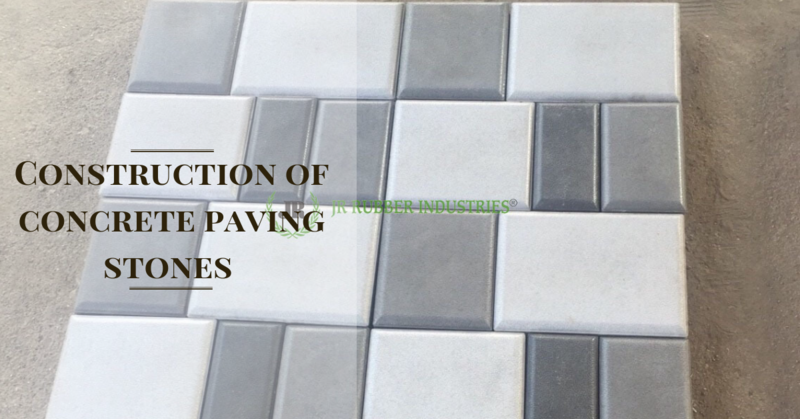 Recent developments among the paver productions that differ in endurance and quality related elements has introduced diverse processing stages that these pavements are subjected to withstand and contain themselves. Flawless blending with an existing job. The scenario must be either expansion of pavements or to establish an entirely new job at the location. In both the cases, the overall outcome must integrate immaculate finish. Levelling. This has to do with the expertise required at the stage of laying the pave. An even surface would be expected with the utmost accuracy. The efficiency of the pave considerably depends on the convenience offered on opting different paving process. Water drain levelling at the gauge point. Standing water on any surface would always put your job out for maintenance due to damage, until and unless the pre-determined measures have been taken over the job to aid water withstanding features. Details are up to the mark. standing edges and points always come into attention after the completion of a pavement job. The accuracy and perfection of these areas determines the quality in details of the work. Your selection of these production and processing techniques are based on the job you intend to build on. Both the approaches are favourable as per the job requirements. 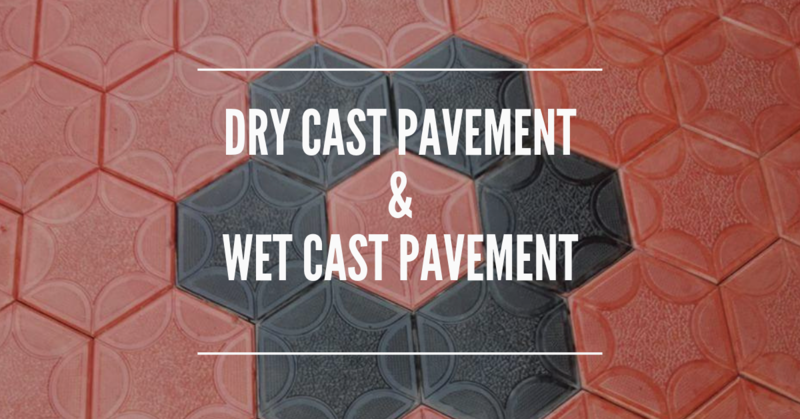 If you are expecting to carry out a seamless finish to your structures or building areas, then you would prefer using wet caste pavement techniques as it is characterised as a flowing mixture on the pre-settling period. In case you opt to converge the result of your building structures or jobs towards tenacity and non-porous finish, your choice could ascend towards Dry caste method. This production technique usually refers to the process that involves very less water content in ratio. 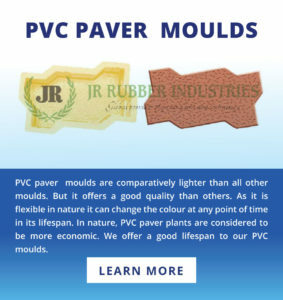 The output pave is generally characterised by hard, rigid and extremely solid in structure. These comes into preference when expense and budget concerns are raised. They usually represent cheaper processing cost considering normal grade components used along the mixture. This process technique comes with an advantage of settling relatively faster than other common techniques. This is usually preferred when the job comprises works like manufacturing concrete blocks and concrete pipes and rings. This could be the most popular and preferred process that includes the essential mixtures in appropriate proportions that also takes into account the imperative water content ratio. 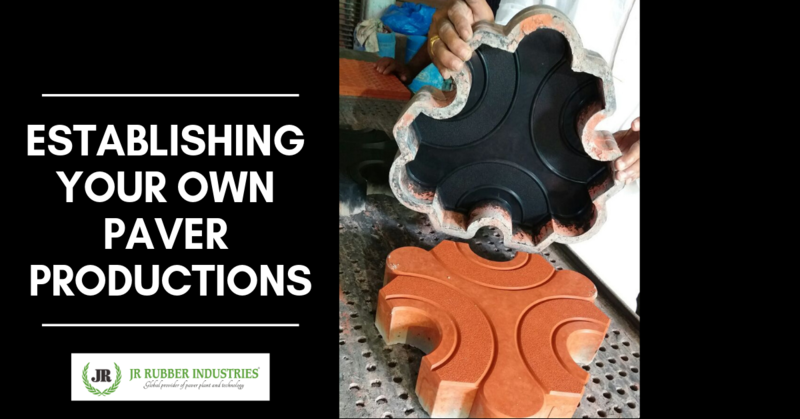 Further stages of production includes the vibrating table treatment to pop out and eliminate the unwanted air bubbles that eventually expands within the settling concrete mix. The final stage of the process technique is carried out by providing significant time for the settling stage after undergoing several curing courses on the go. This is a highly adopted approach when durability and strength has been added to the requirement board. Nearly all the paver block machines are fed with proportional water content to follow the wet caste procedures. We’ve observed that the preference in structural designs and building projects has been towards the Wet caste process with the advancement in quality and durability concerns. However, the dry caste process is also considered for the paving block production and packaged blocks to be transported to the building sites. You can now decide to choose between the two by recognizing the benefits of the options inclining towards your job requirements and standards. Once you’ve decided your options, you can now consult us with your requirement. We’ve got experience in paver production units. We offer technical assistance for our clients who intend to start a new build. Our paving equipment includes the mini paver plant, semi mechanised paver plant and fully automatic machine. Has it been constant gloomy weather and rain where you live? Not good for the mood, but your outdoor plants will surely be loving it. Speaking of plants and all things that love moisture, can we talk about a common outdoor mold/fungus problem? Nowadays, most of us have an outdoor patio with colored precast concrete paving stones. It doesn’t take long each year for black mold and mildew or moss and algae to start growing on it. 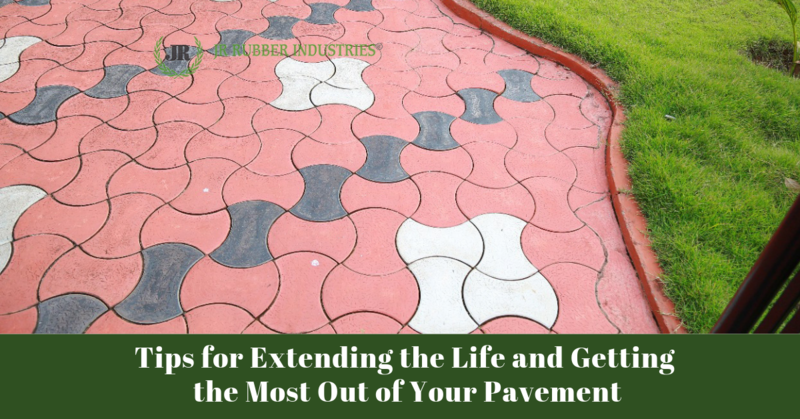 It is a mind-numbing job that will take hours and hours of work to restore the patio to a brand-new condition and everyone who has tried it hates doing that job. What we need to ask is if there’s a way to prevent the moss, mildew, and mold from growing in the first place and why is it growing on the precast concrete pavers. Moss, mold, and mildew need food to survive, just like us, the only difference being, the source of food. Specks of dust, ultra-fine sugar aerosols from trees and bushes, tree sap, minerals, organic debris, etc., are all food sources for the unsightly things growing on your patio. The missing ingredient needed to fuel the moss, mold, and mildew growth is, of course water. If you were somehow able to keep your patio completely dry always, you’d not have any growth. But even morning dew can sustain the green and black organisms as they’re tenacious and know how to make a little water go a long way. The good news is that there are ways you can prevent the growth of patio moss, mildew, and mold. But they’re not always advised. Let’s take a look at the possible ways to address the issue at hand. Let’s discuss power washing in detail. There’s a raging debate going on in the home improvement community about whether or not power washing can be destructive to concrete, brick, precast pavers and wood. The unequivocal answer is yes, it’s destructive and the rate of destructive force is directly proportional to the pounds-per-square-inch (psi) power the machine delivers, the angle of the spray-wand tip and the distance of the tip from the surface being cleaned. Still confused? Picture the Grand Canyon in your mind, it’s the perfect example to understand that water flowing over rock can do damage. 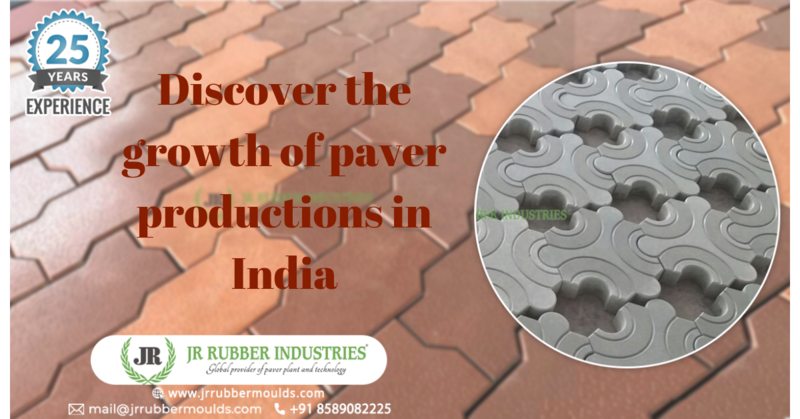 A liquid solution of copper sprayed on the top surface of the concrete interlocking pavers, will stop the growth of the pesky green and black organisms in their tracks since it is a natural biocide. The easiest way to apply the copper is to buy copper sulfate crystals which are available online, and the blue crystals dissolve readily in warm or hot tap water. Mix 1.75 pounds of copper sulfate in each gallon of water and apply the solution when the paving block is dry as a bone. The problem here is that copper is a potentially toxic substance to clean an area where people, pets, and vegetation are and can be harmed by getting it on their skin, eating it, or absorbing it. Also, copper solution only addresses the symptom, but neglects the underlying issue, and, by doing so, creating further problems or worse dangers. We need to address the possible constant sources of moisture to the pavers, apart from rainfall, that causes them to never fully dry out and to have a recurring mold problem. The first thing to look at is your drainage system because if moisture is constantly flowing towards these pavers, the ground underneath them is most likely constantly wet. Which means, paving tiles will never fully dry out and the mold will continue to come back no matter how or what you clean them with. You can try irrigate and install drains in your yard to easily solve this problem. The other piece of this puzzle is sunlight. Is any sunlight getting to your interlocking concrete block? Is the area covered by trees or an overhang? If foliage and tree cover is the case, you might want to consider doing some landscaping or tree removal that give that area more natural sunlight. The sun’s rays are a powerful mold retardant. Sunshine will aid in keeping the interlocking bricks dry and will prevent future mold growth. If you have a retractable overhang, consider pulling it back during the hottest times of the day when the sun is most powerful, so that it can do its job on the pavers. We also recommend using a laundry additive that can be used to remove mold as well. Take 1/3rd of the bottle in a one-gallon sprayer or put into a garden hose mixer and spray the entire area before allowing it to fully dry. Then, with the help of a scrubbing brush and some elbow grease remove any visible mold. Spray again and allow to air dry. If there’s an area with a large concentration of mold or algae, use the laundry additive undiluted with your scrub brush to remove what remains and to prevent further growth. The laundry additive can be walked on with bare feet, you do not need to wear protective gear to apply it, and it’s safe for your pets too. The mixed laundry additive should last about 2 to 3 months. Flooring is the most important part when it comes to buying/building homes. Everybody have their own opinions about what kind of tiles should be used and whether it is affordable and fits your budget. Once it is within your budget then comes what type of Flooring tiles should be used. Remember to choose the best and convenient ones instead of going for more and attractive ones. Because flooring is a long term investment and its better to be cautious than to regret. 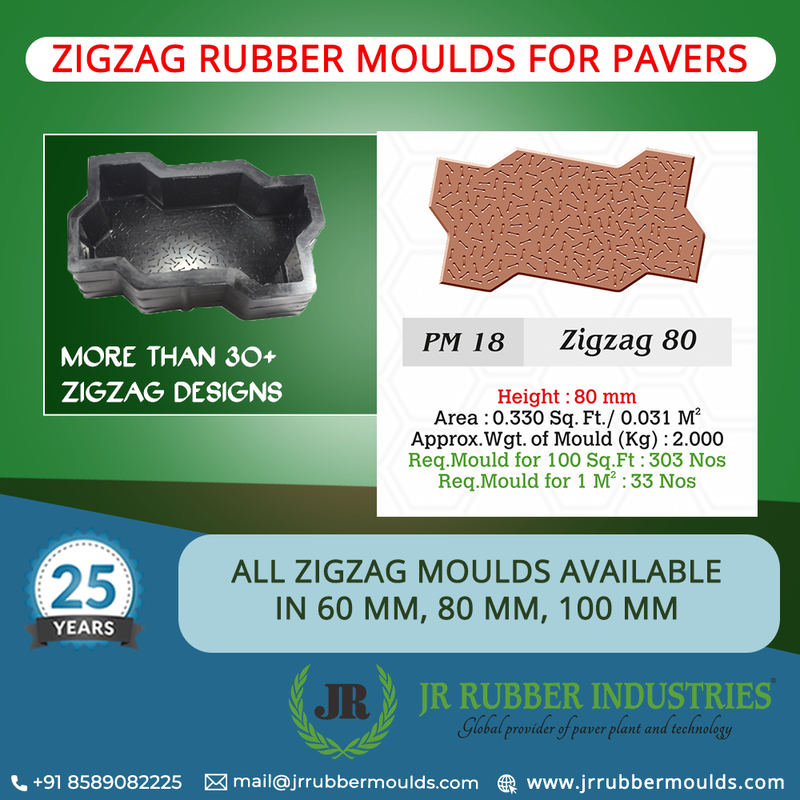 Flooring tiles are incomplete without its moulds in which they are available and there are two types of moulds one is the Floor tile plastic mould and the other is Floor tile rubber moulds . 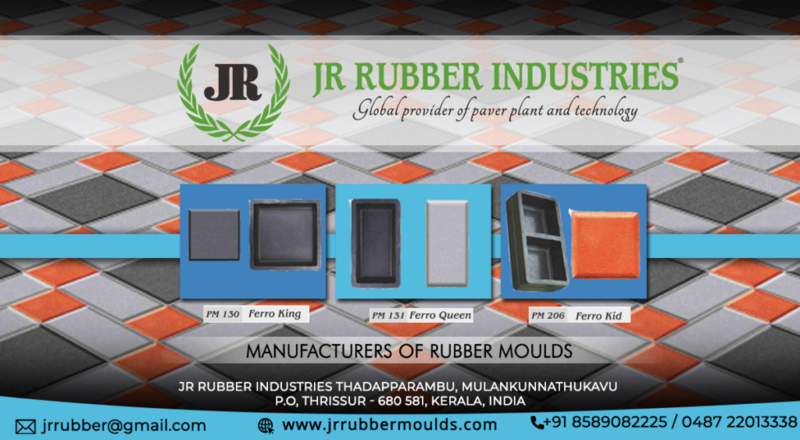 Of the two types of Floor tile molds, Rubber tile moulds are preferred by people when it comes to flooring in their homes. Because they have advantages over the plastic floor tile moulds. polished with water soluble wax which is resistant to damage and discoloration. For example if you put plastic floor tiles there is a chance of tile getting stained. 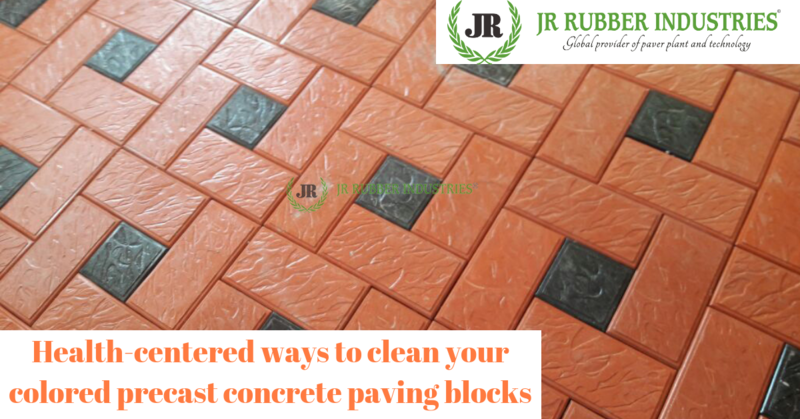 But Rubber tiles come with water soluble wax polished on them so as to make them stain resistant. It means the more the tiles are stain proof the more your flooring looks outstanding. The rubber flooring tiles are the soft despite being tough against any damages caused. This type of tiles are mainly used in exercise rooms and playrooms. Because be it an exercise or playroom . Rough tiles will make your life miserable as well as your children’s. When you work out there is high chance of a fall all the time as result of loss of balance or sweat. Similarly your tiny tots will be always running around the playroom and making them sit in one place is almost impossible and if they fall the rubber tiles can give support to them by not hurting them. When it comes to flooring tiles being water resistant is an important factor that needs to be given more importance on. Because if the tiles are not water resistant then with the ongoing adverse effects of weather change with one rain you tiles will get susceptible to the sudden rain or leak of water. So make sure you do the flooring of your home with water resistant Rubber floor tiles. Rubber floor tiles are highly elastic which makes our walk quiet and no noise of things falling on them, no sound of heels of the shoes while walking. Imagine the situation where your tiles are having hard surface and no matter how hard we try the sound rings our ears when the utensils fall or the heel of your shoes makes this irritating voice. At the end of the day if there is no bothering sounds that comes from the tile when you walk or when something falls makes your day lead in peace. The rubber floor tiles are easy to install as they have either interlocking edges or edge pins to the tile together. These tiles can be cut with sharp knives. 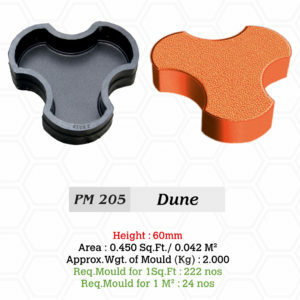 When it comes to the installation of the Rubber floor tiles the interlocking edges or the edge pins make it easy to install the tiles without any hurdles. 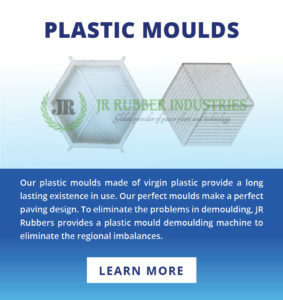 Unlike the plastic tiles that are non-recyclable, the rubber floor tiles are recyclable and reused again. For instance your floor tiles are damaged and faded, you can recycle them and reuse as and when required. You need not waste your savings to buy a new tile, because Rubber tiles are flexible and renewable as well. 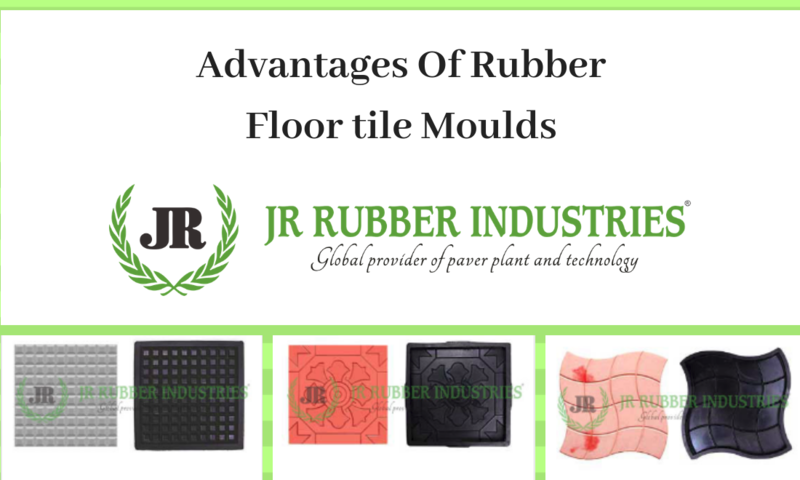 Another important advantage of the Floor rubber tiles are that it saves energy bills by reducing the insulation value. 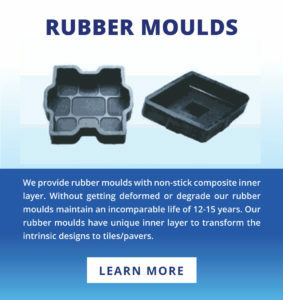 A recycled rubber floor tile comes with layer of insulation between the floor and the room this helps min blocking the heat from escaping the floor. Premium rubber tiles are very expensive and it can empty your savings just like that. We all go for the other good qualities of the rubber tiles that the amount of money that we have to pay for the same is at times ignored. Another major problem of the Rubber floor tiles is its smoothness can cause slippage. Since the tile has a smooth texture there is a high chance of getting slipped on them. And if is polished and waxed on top of it being smooth, the situation can be grievous. As mentioned earlier Rubber flooring tiles are stain proof. Are they really? No they are not completely stain proof. Why? Because the tiles that are resistant to most staining agents still they succumb to strong and abrasive detergents. 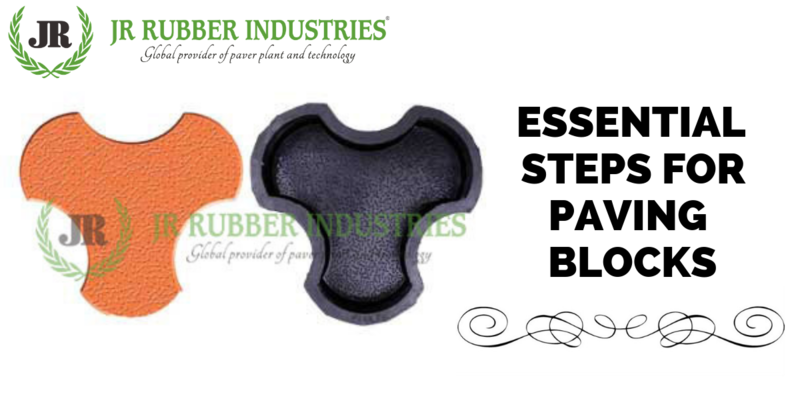 Like for example the rubber tile can stained by grease or oil. Which is why they are not preferred for Kitchen flooring. Because the kitchen is the place where oil is used more than anywhere else in your home. So no rubber tile flooring in kitchen. Generally rubbers tend to have a distinct odour. 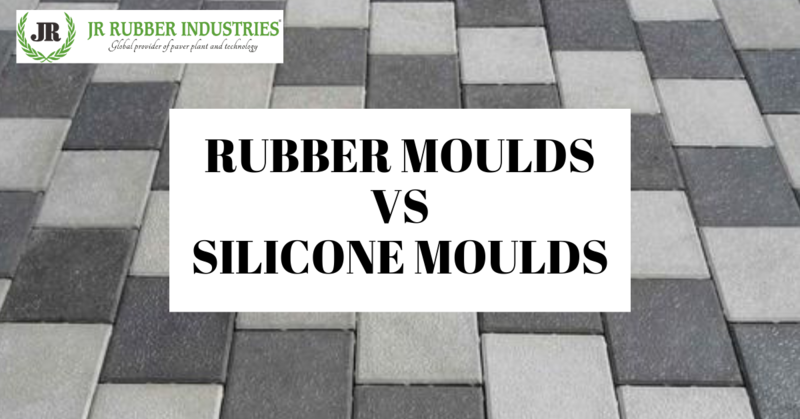 Similarly rubber tiles used for flooring purpose have a sharp smell that can cause difficulties to people and it can be unpleasant at times. As and when you put the rubber tile on your floor you can feel the peculiar smell. Rubbers are generally fire resistant. When it comes to synthetic fibres they are not fireproof and when they do catch fire. Toxic gases are released which are dangerous to your health. The rubber floor tile may be water resistant but the seams can let water inside the tiles and this can damage the tiles. So it is suggested to not have the rubber tiles in the wet areas of your home like kitchens, bathrooms etc. other customized products, paver production line – Mini paver plant , Semi mechanized paver plant, Fully automatic paver plant.